Amish-built of solid hardwood, our classic Charlemagne High Dresser is a testament to the classic beauty and utility of fine handcrafted furniture. Your Charlemagne High Dresser is complete with ten spacious drawers and a decorated beveled mirror. 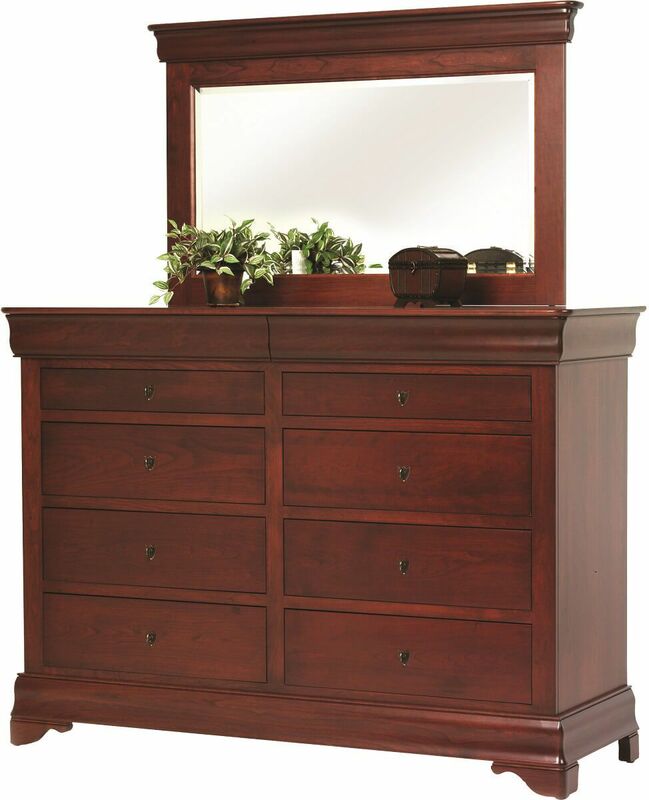 The ideal storage solution, this high dresser contains ample space for your apparel. Reveal jewelry and valuables by opening the hidden, felt-lined slides in trim. 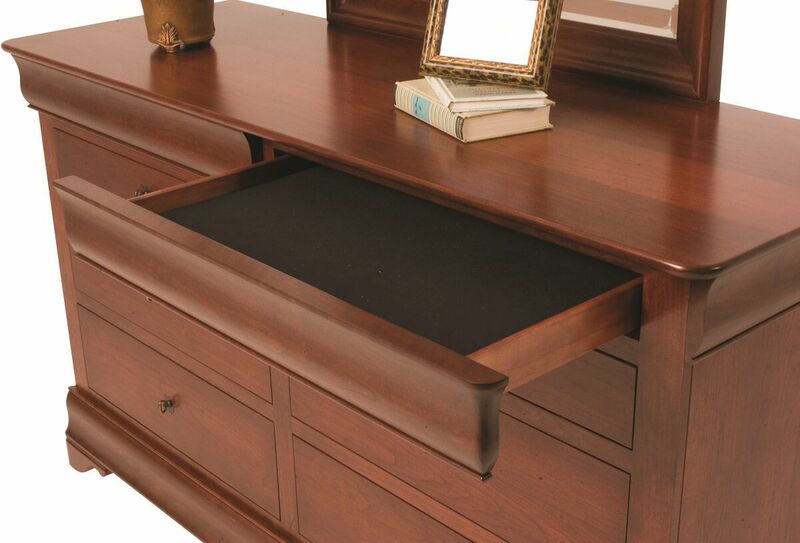 Dovetailed drawers and helix fasteners ensure secure storage for the items within your dresser. 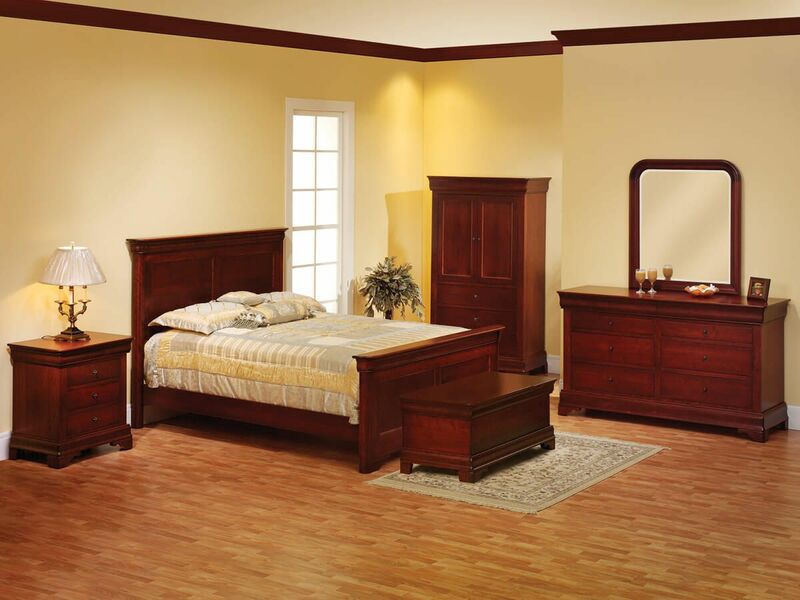 Complete your bedroom set with the Charlemagne High Dresser by selecting a wood species and stain from the options menu. 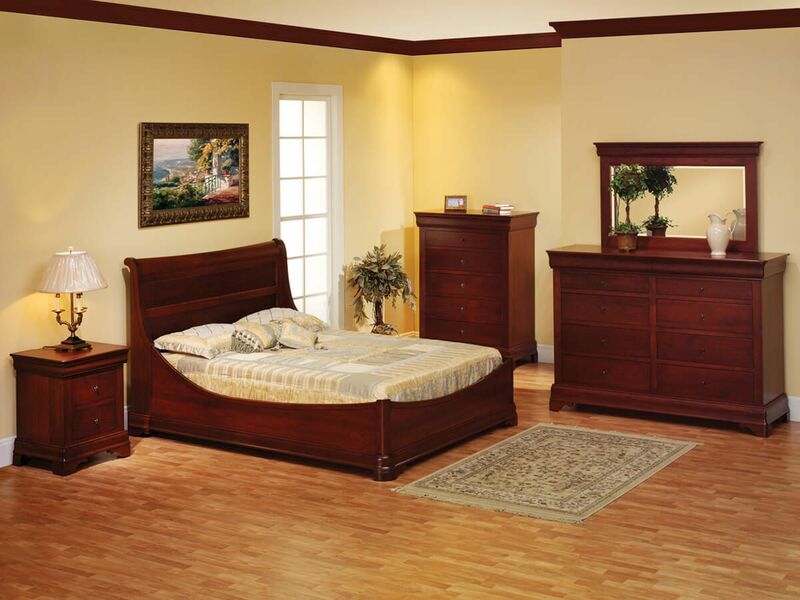 Our Amish builders will carefully handcraft a dresser that will stand the test of time and design.